Guildhall. Osteopath in Birmingham. Birmingham Osteopathy. The Guildhall Practice is a multi-disciplinary practice offering a number of differnt therapists, including an Osteopath in our Birmingham city centre practice. Our Osteopaths work as a team, all of whom will consider you as an individual, and treat you according to your individual needs. Osteopathic treatment is suitable for anyone; we frequently treat newborn babies right through to patients in their nineties in the treatment and management of a wide range of complaints. 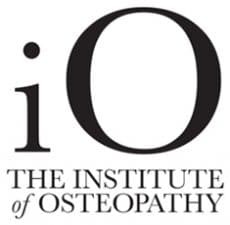 Whilst Osteopathy is best known for treating back pain, it is not the only thing that Osteopaths do! Osteopaths primarily treat using their hands to reduce muscular tension and improve the mobilty of joints, by using an approach which is both holistic and patient-centred. At the Guildhall Practice your initial appointment with one of our Osteopaths will be forty five minutes. For follow up Osteopathic appointments we allow thirty minutes. During the initial consultation your Osteopath will take a case history and take you through appropriate tests in order to diagnose your complaint. It is our experience that normally with most patients we are able to commence treatment immediately, during the first consultation. What to expect during your Initial Osteopathic Consultation. The Guildhall Practice is well known for the treatment of sport, dance and performance related injuries. Regardless of the level that you compete at we are committed to helping you reach your potential. Andrew Leask is employed as performance medicine consultant at Birmingham Conservatoire working with a wide variety of musicians, and has also worked at St George’s Park, the national centre for football. We are passionate about sport, and are proud of our long-standing connection with Birchfield Harriers, Birmingham Rep Theatre, Birmingham Royal Ballet and the Dance Xchange . Whilst Osteopathy is best known for treating back pain, backpain is not the only thing that Osteopaths do. Osteopaths primarily treat the neuro-musculo-skeletal system, affecting the muscles and joints, by using an Osteopathic approach which is holistic and patient-centred. joint pains including hip and knee pain from osteoarthritis. neck pain and headaches arising from the neck. frozen shoulder or shoulder pain. elbow pain or tennis elbow arising from associated musculoskeletal conditions of the back and neck. Osteopathy is well regulated in the UK. Osteopaths must be registered with the General Osteopathic Council in order to practice. Patients may be referred by their doctor, or may opt to see an osteopath independently. Andrew W. Leask. Registered Osteopath. Cornwall Buildings, 45 Newhall Street, Birmingham. B3 3QR.